On 29th and 30th January 2018, the project partners gathered in Athens, Greece, at Titania Hotel, as part of their periodic plenary working meetings. Medical Innovation and Technology, the Greek technological SME, had the local organizer & facilitator role, confident that the team made the most of the city’s ancient spirit to gain inspiration, insight, wisdom and enthusiasm! This has been the first meeting of the New Year, but also the first after the recent Project Review, which set the scene for an ambitious second half in the project lifetime! The meeting agenda has been busy, with a significant part of the two days split in two or three parallel sessions, a setting which has been proven useful also in previous meetings. The sub-teams working for the different Workpackages met in parallel to discuss their progress and topics, whereas common sessions were planned for those topics that required collaborative attendance. 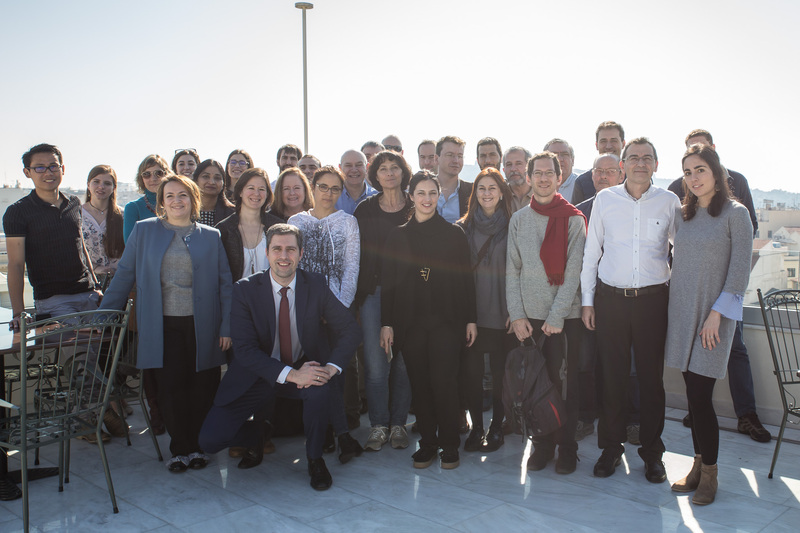 In parallel was also taking place the first Validation session, with the colleagues leading Validation WP meeting on a one-to-one basis with the clinical partners. With the DESIREE meeting occasion in Athens, a press release was distributed to local health and technological media representatives, with various information on the project, the objectives, the partners etc. A key communication topic was the availability of the newly released DEMO video in DESIREE Youtube channel, offering the possibility as well for a live demo to interested press representatives during the two-day meeting. The press release is available here. Invitation to attend the meeting has been also extended to the Project Advisory Board members, the participation of whom however was not made possible at this occasion. The team is in close collaboration with them all, regularly communicating updates on progress and results, since the PAB critical feedback, advice and cooperation are highly encouraged! A discussion is already in progress for the organization of a dissemination activity in collaboration with Europa Donna, a keen PAB member. With the key objective to present and explain the project impact for the ultimate beneficiary who is the breast cancer patient, this first event is addressed to patients via their patient associations. More information will be announced soon.